Two-hundred people enjoyed the annual Arnold Community Foundation dinner and fundraiser auction Saturday night at the community center. Over $45,000.00 was raised to help local entities continue to make improvements and to grow the community’s savings account. The event consistently draws over 200 people each year, and is supported by area businesses that donate items for both the live and silent auctions. Each Year the ACFF gives an award to a local organization and an individual who has demonstrated years of commitment and time to the Arnold Community. The award winners of the past have all had great contributions to the community in efforts that often go unrecognized. 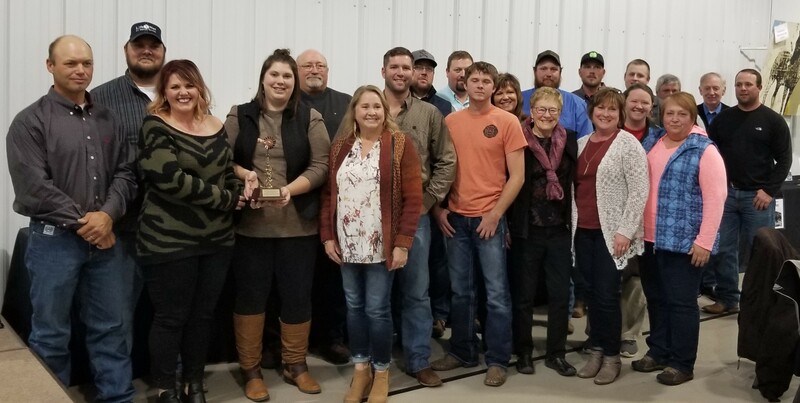 Presented by ACFF committee member Becky Dailey, the 2018 Philanthropist of the Year award for the category of organizations went to the members of Arnold volunteer fire department. 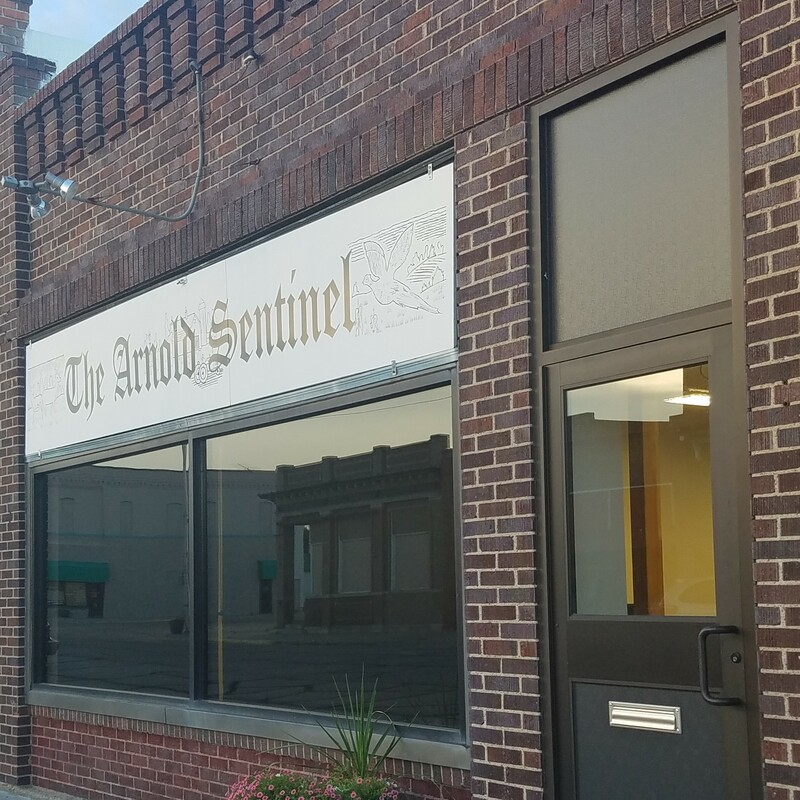 The Arnold Volunteer Fire Department is comprised of a group of men and women who exhibit a commitment to the town and citizens that is unmatched. 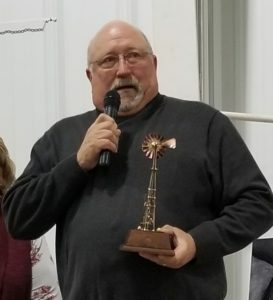 The Individual Philanthropist of the Year Award was presented to an individual who has given most of his adult life to Arnold’s volunteer fire department. 2018 marks Robbi Smith’s 40th Year serving on Arnold’s Fire Department. Several of those years, he was president of the volunteer organization and has served as fire chief for the past 14 years. “Robbi has been instrumental in keeping the department up-to-date with lifesaving equipment. He has worked diligently with the fire board to obtain new equipment and has completed several important projects in conjunction with the fire service, earning him the prestigious Fireman of the Year award several times over the past decades of service. Robbi is a trusted driver for EMT calls and is a willing aid at all times of the day or night. He is known for his calm demeanor on the radio and is well respected by neighboring departments. It is a common sight to see Robbi’s vehicle parked at the fire station, either serving an emergency call or preparing for one, Robbi has dedicated thousands of hours,” said Dailey. According to his wife, Shelley, Robbi has a special place in his heart for Arnold’s Fire Department. He recently passed the torch of fire chief on to Eric Nelson, but will continue to play a role in serving the Arnold Community by working with our Volunteer Fire Department and EMTs as long as he is able. A copper sculpture was given to each winner with their names engraved on them. The ACFF works to build the “community savings account” or Unrestricted Endowment account. All funds will be used to support and strengthen local nonprofit organizations and make grants back to the community for development projects and programs, community betterment, leadership development, youth and adult education, youth retention, entrepreneurship development and training and philanthropy education.